The Best Automotive Locksmith in Reno Sparks, NV. Cars today are some of the most important things we own. They are valuable to us because they have become the primary form of transport for many. For this reason, it’s extra irritating when you can’t find the keys to your car especially when you have to get somewhere in a hurry. Being locked out of the car can be especially frustrating because in most cases you can see the keys but can’t get to them. The only way to reach them without the assistance from a professional Automotive Locksmith in Reno Sparks, NV would probably be by breaking something. However, in Reno, Nevada (NV), Locksmith 775 Reno Sparks, NV have really invested in all aspects of automotive locksmith services. Whether the car is domestic or foreign, we have the technology and prowess to make it happen. Whether we are talking about chip keys, transponder, traditional or smart, contact us and we’ll get the job done. A professional Automotive Locksmith in Reno Sparks, NV has trained for a while in all maters car locks and is able to unlock your car for you, make copies of keys and even program them to your specific car as it should be. We have machines that handle the key cutting to ensure that the process is fast and accurate. Since the technology for opening cars has also changed, you need a reliable Automotive locksmith in Reno Sparks, NV who can handle all matters car key copying entails. We pride ourselves in the work we do. And for this reason we do it to the best of our ability. As such you can always be sure that we our job very seriously. These particular keys were designed to increase security of the vehicle and avoid fraudulent practices when it came to duplicating the keys. These transponder keys are specifically fitted with a PATS or VATS chip that’s further used to protect the car from being stolen. As such, without the proper configuration, the ignition won’t start. We have the machines to handle the encoding of such chips to ensure your key replacement goes on without a hitch. This is the electronic version of the standard key. This key fob usually has a couple of buttons on it programmed to lock and unlock the car’s doors. This one is usually used by old model cars that used this sort of technology when it came out. Before key fobs and transponder keys came into play, vehicles used special type of keys that didn’t have any electronic components onto them. Not many locksmiths have the experience and skill it takes to replace the key. At Locksmith 775 Reno Sparks, NV, we pride ourselves in being masters in classic or antique cars. As such, ultimate Automotive Locksmith in Reno Sparks, NV, key replacement or re-keying is a job we can do to perfection. The smart key is an invention aimed at improving security and ease of access into the car. When you have the key on your person, you can simply open the car door and it will automatically open. Provided the key is also inside the car, the car will start without requiring the key be placed in the ignition. These keys are hugely functional and save a lot of time. Replacing them from an Automotive Locksmith in Reno Sparks, NV is not only time consuming, it’s also a lot more expensive. To properly cut this key, you need the right equipment since they must also be programed to your particular car. These sort of keys are also known as sidewinder keys. Cutting this sort of key needs a special machine because apart from the normal key cylinders, this key also has an in-built transponder chip that must be programmed to your car for it to work flawlessly. We have both the technology and the experience to handle this key with confidence any other professional services from an Automotive Locksmith in Reno Sparks, NV. Sometimes the car keys just won’t come out of the door or the ignition. Trying to force this key to come out might lead to further damaging the locks or having the key break inside the mechanism which is a different level of bad. As such, contacting a professional to handle the problem is the best way to go. 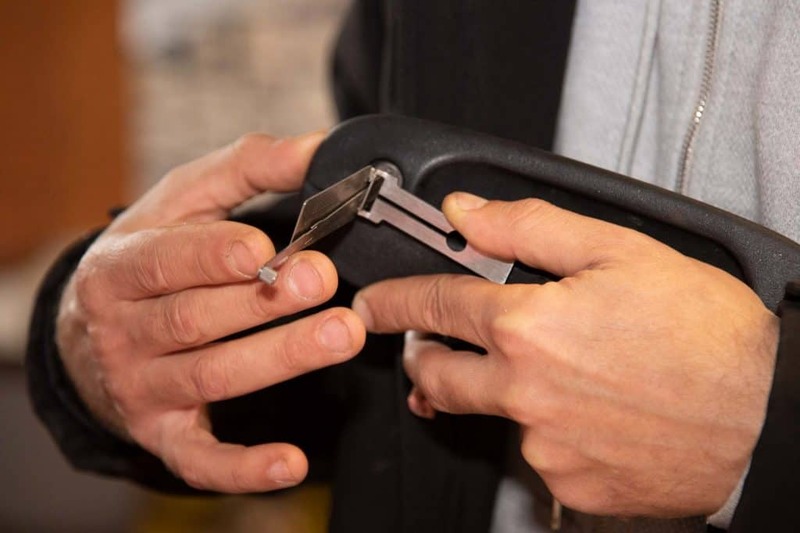 Using our specialized tools, we’ll get the key out of the lock without damaging it. Depending on the situation, we’ll float a few ideas around and implement the best one.